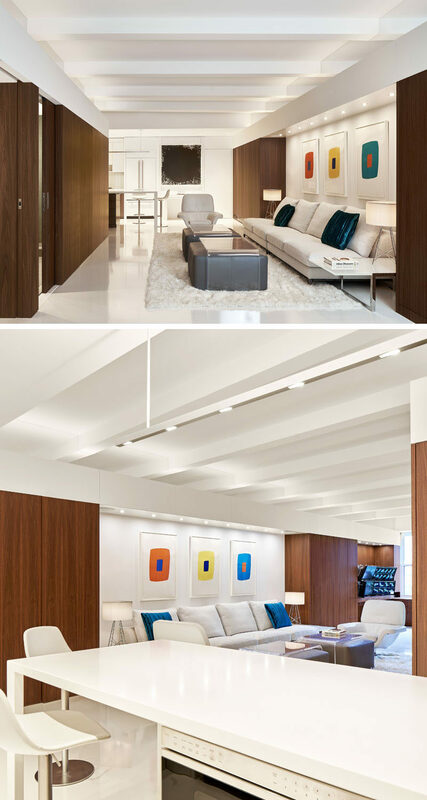 Scott Specht of Specht Architects, has recently completed his latest NYC project, The Infinity Loft in Greenwich Village. 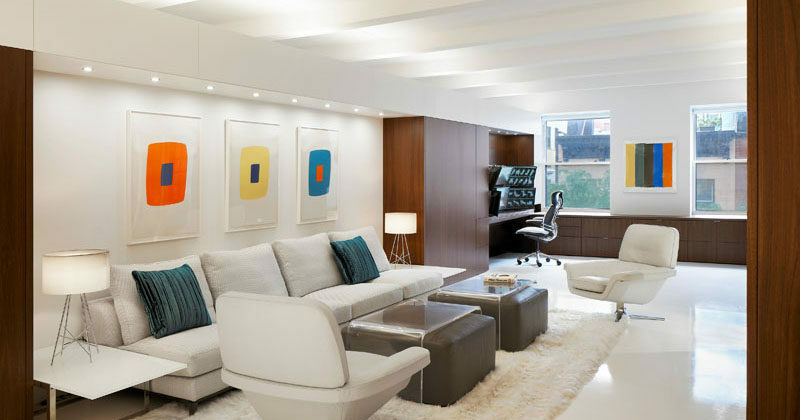 When designing the 900 square foot loft renovation, numerous hidden details were included to make the space feel larger than it is. 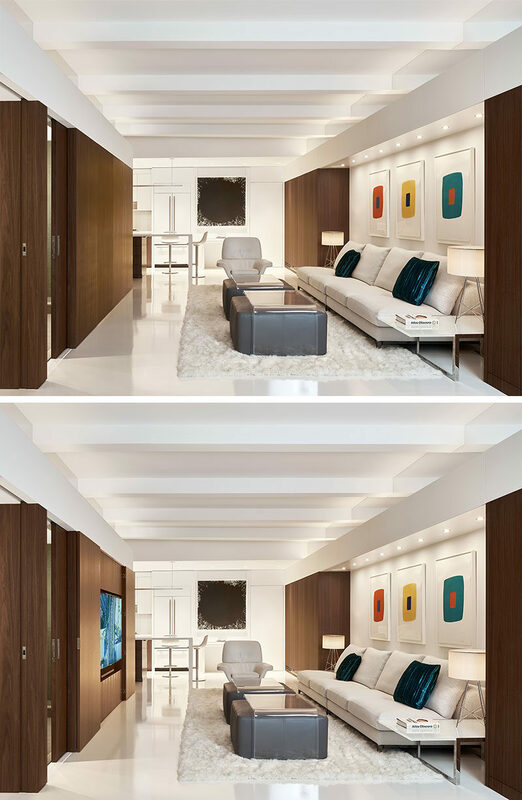 Mirrors were placed above eye level to make the ceiling appear to extend far beyond the perimeter walls. Front-surface mirrors are also located directly adjacent to windows to multiply the views and increase the light brought into the space. In the living room, wood cabinetry hides a fold-out bed, used for when guests stay over, and above the wood cabinets, are hidden panels that open to reveal storage nooks. 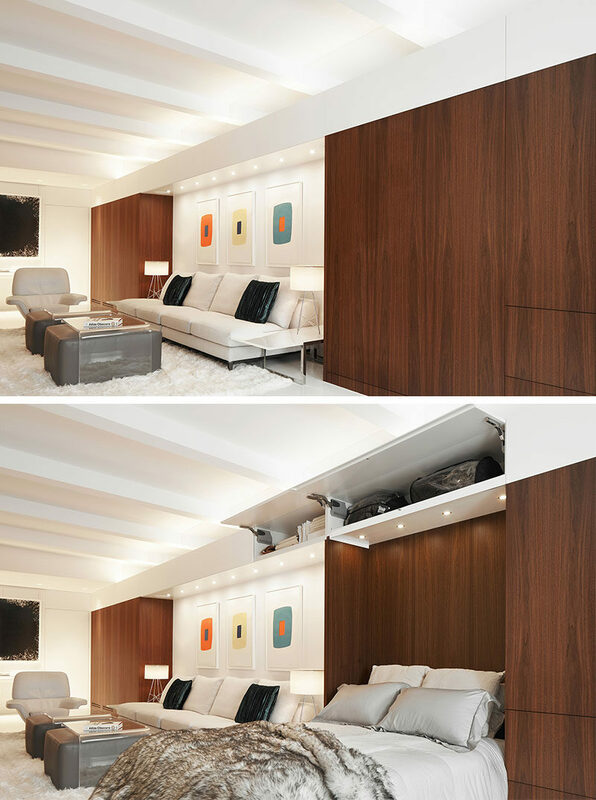 On the wood wall opposite the couch, there are panels that can be slid open to reveal the hidden television. 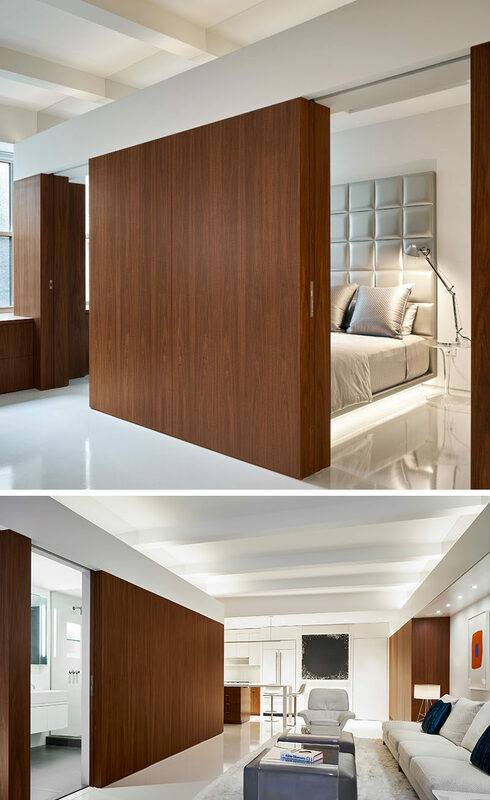 Also hidden within the wood wall are pocket doors that can be opened to reveal the bedroom and bathroom. When entertaining guests, a small console by the front door can be moved to the other end of the apartment by the windows, and when extended it opens up to a 10-person dining table.